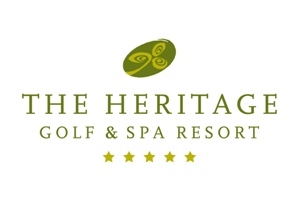 Everybody at The Heritage is delighted that we are once again hosting our Pro-Am over the June Bank Holiday weekend, Sunday 31st May & Monday 1st June 2015! The tournament will again be sponsored by Aidan O’Connell & Associates Ltd., while there will also be significant support from our new owners, the PGA of Ireland, Judge Roy Beans Bar/Restaurant, our Members & Friends. If you have any queries on our 2015 Pro-Am or would like to enter a team please contact Dean Redmond on 057-8642326 or email dredmond@theheritage.com. We will also be running a Pro-Am Qualifier on Friday 1st May, entry fee will be €120 per Team of 3, with 1 lucky team qualifying for the Pro-Am from this day! 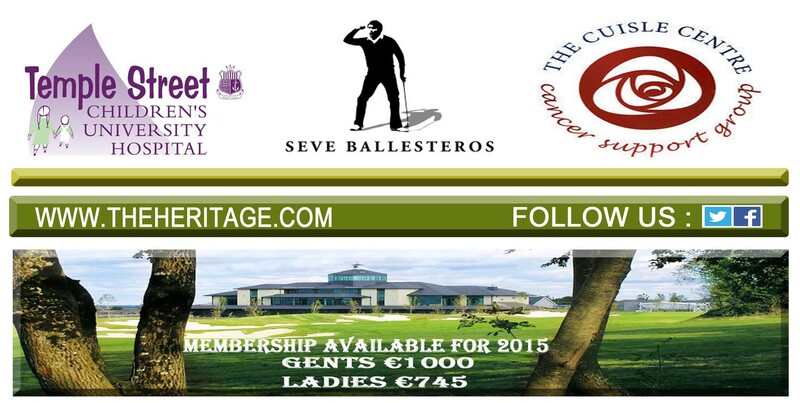 Online entries available, you can also book via phone on 057-8642321 or by emailing tkennedy@theheritage.com. Remember €1 from every Green Fee in 2015 will also be donated between Temple Street Children’s Hospital & The Cuisle Centre.